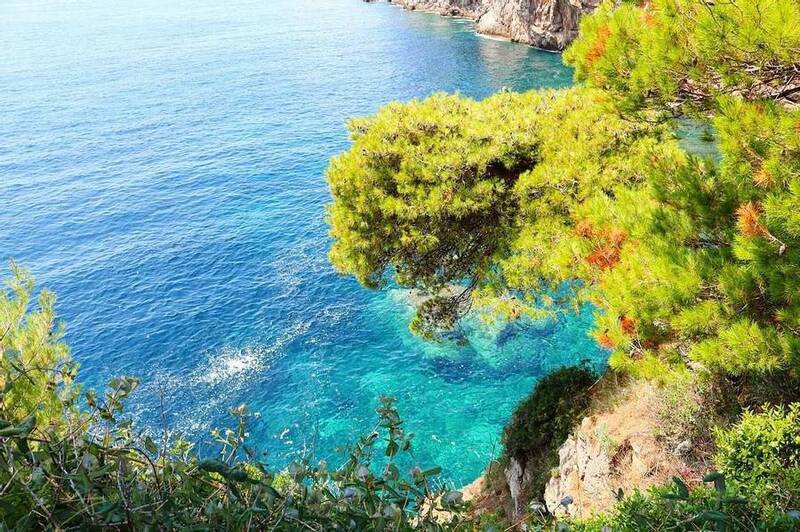 Ever since my first visit in 1999 I have absolutely adored the Dalmatian Coast. 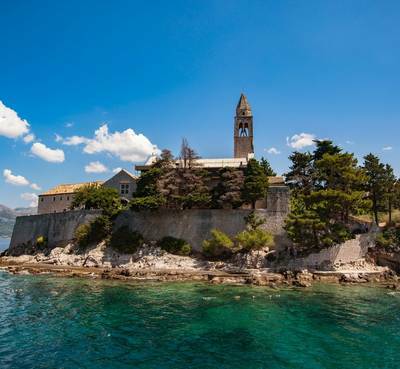 I would gladly spend the rest of my life hopping between sleepy islands, savouring simple but delicious Croatian cuisine, watching the unforgettable sunsets, cycling on quiet country lanes and throwing myself into the Adriatic for a refreshing dip. It is absolutely perfect. 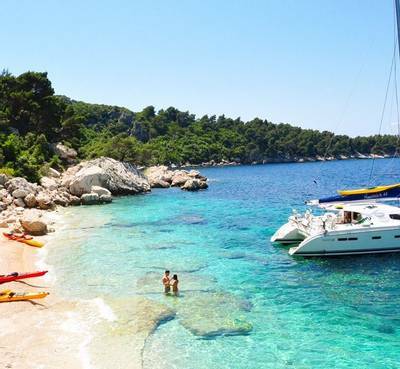 Spend a long weekend sailing the azure-blue waters of the Dalmatian coast. 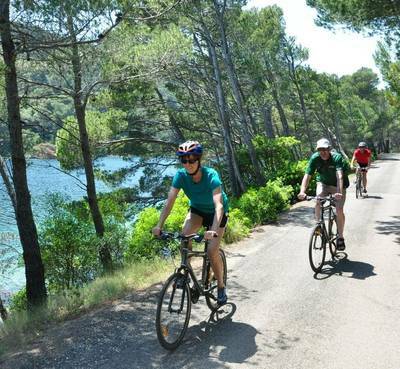 Over three nights, you’ll visit several islands, snorkel in crystal-clear waters, enjoy cycling and dine in seafront restaurants. 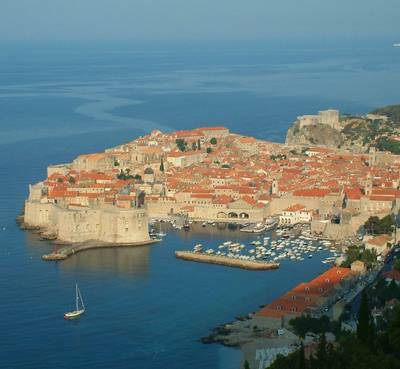 This weekend can easily be extended with a few nights in Dubrovnik, allowing you to experience life in the mainland’s most renowned city. 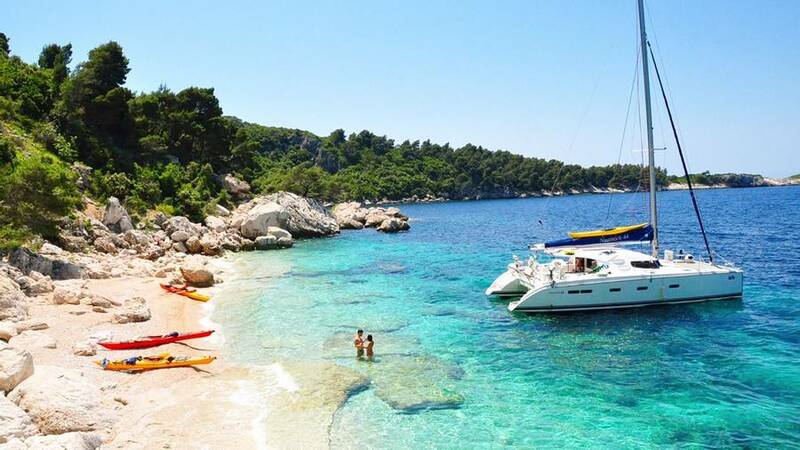 Please note: flights and transfers are not included in this trip because just about everybody wants to add a day, days or even a week in Dubrovnik before, and/or after, the sailing part of the holiday. We will be delighted to arrange flights, accommodation and transfers around the sailing weekend. Please just ask one of our Travel Experts for suggestions and prices. 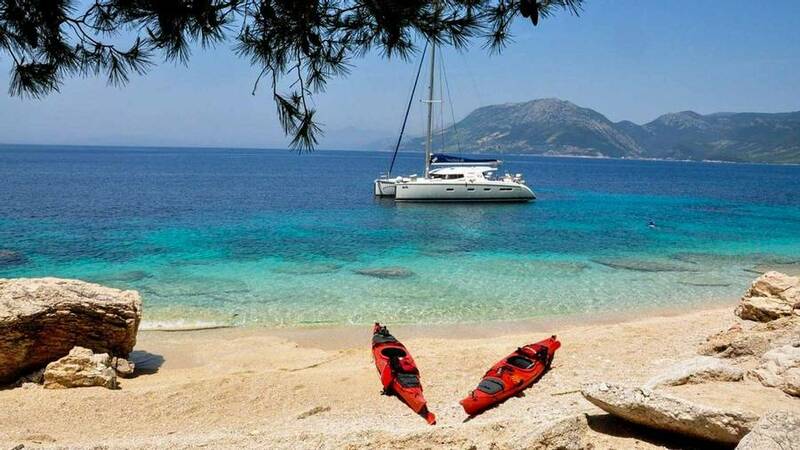 Each trip starts at 10 am from Komolac Marina. 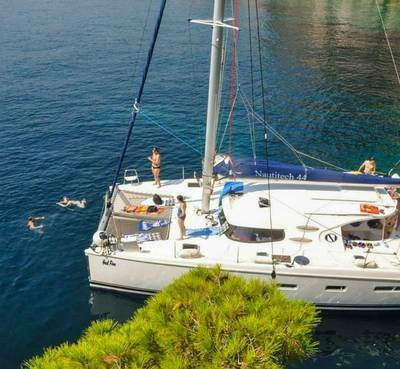 The marina is approximately 15 minutes by road from Dubrovnik and, given the morning departure, we recommend staying in the city the night before. There can’t be many better weekends away than this one. 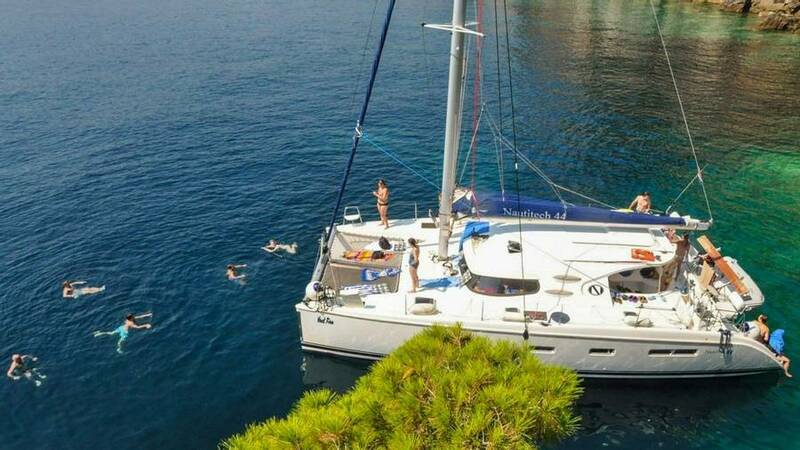 You’ll spend three days sailing the calm and peaceful Adriatic and exploring some of the greenest islands on Croatia’s beguiling Dalmatian Coast. 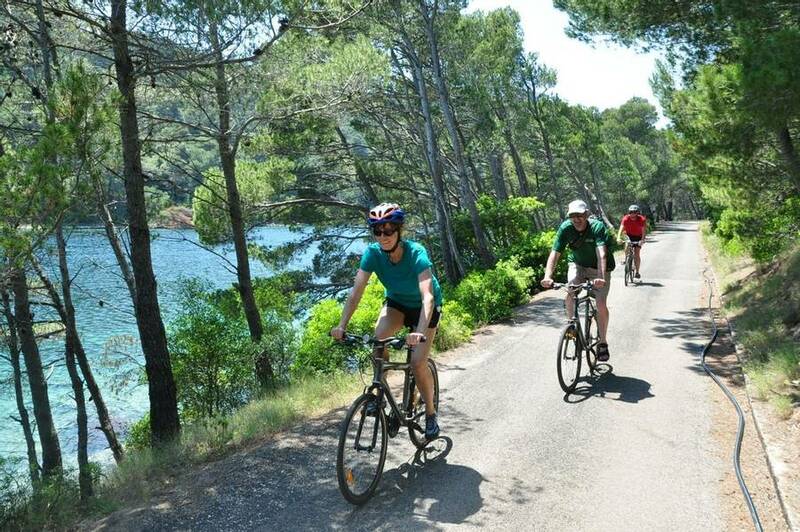 There’ll be a few gentle activities thrown in along the way too, including stand up paddle boarding, snorkelling, swimming and cycling. In the evenings, you will moor near small villages and towns where you can stroll along the seafront and enjoy the harbourside bars and restaurants. 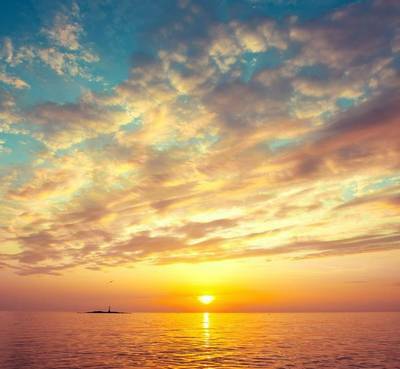 There are few things as good in life as watching the sun setting over the Adriatic (which it does in spectacular fashion) while sipping your very own sundowner. 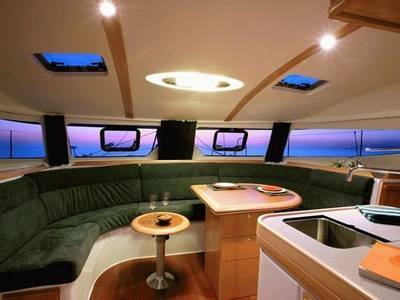 You’ll sail and sleep on board a modern catamaran which has plenty of deck space for relaxing and watching the islands glide by. 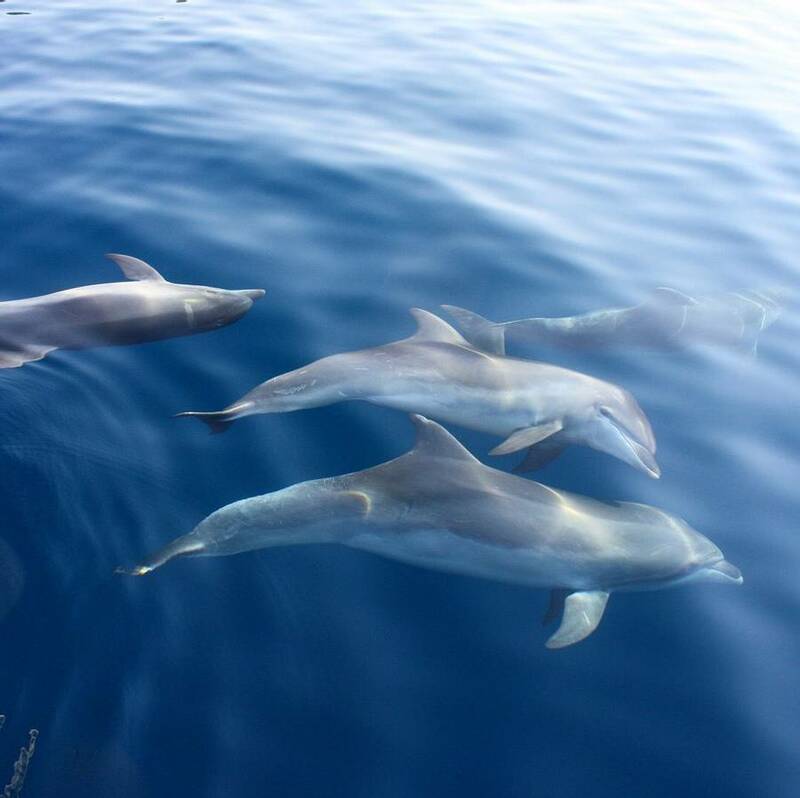 Each day will see you visiting and exploring different islands and enjoying the various activities included in the itinerary. 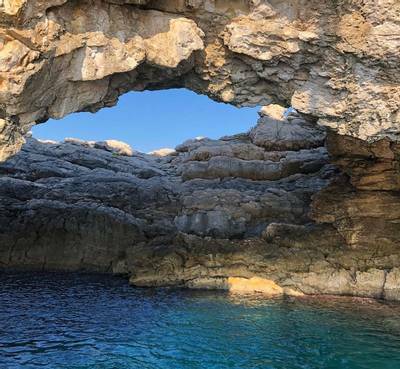 On day one you set sail from Komolac and explore the Elaphiti Archipelago. You’ll head first to the smallest inhabited island of the Archipelago, Kolocep. 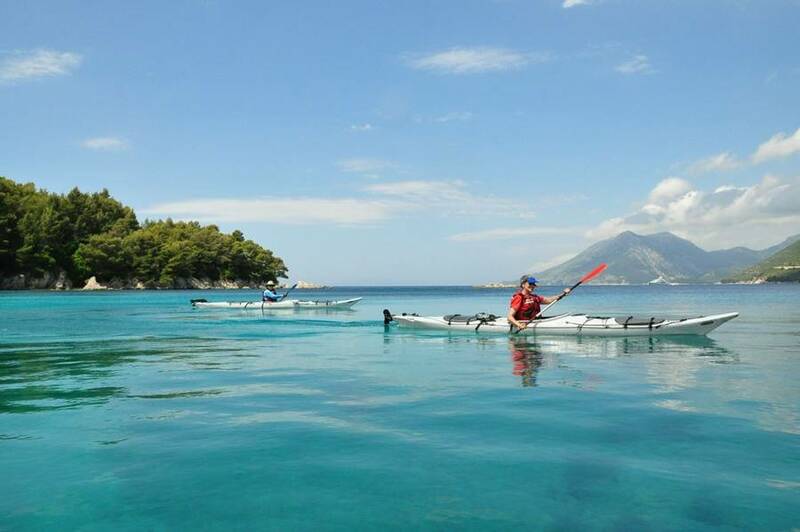 There’ll be the chance to try your hand at paddle boarding and build up an appetite with a dip in the lovely, clear Adriatic waters. From Kolocep the voyage continues with visits to Lopud and Sipan before finishing the day in a stunning bay and heading onshore for dinner. 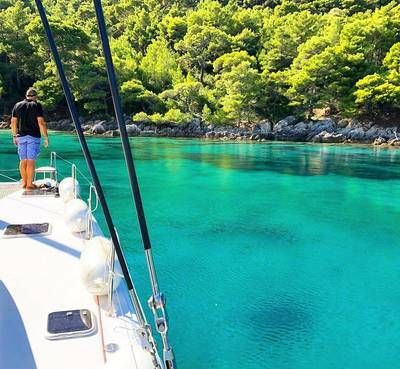 It gets even better on day two, which finds you sailing to Mljet (“Mee-yet”) an island blessed with natural splendour including two inland saltwater lakes. 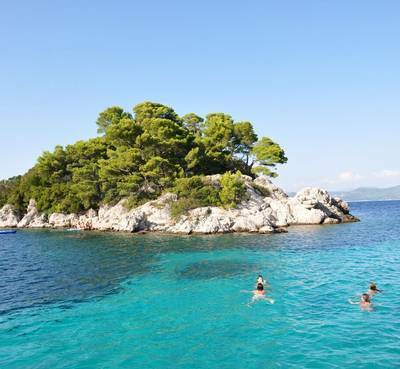 From Mljet, you’ll head for the Peljesac Peninsula and anchor in a bay near Zuljana. 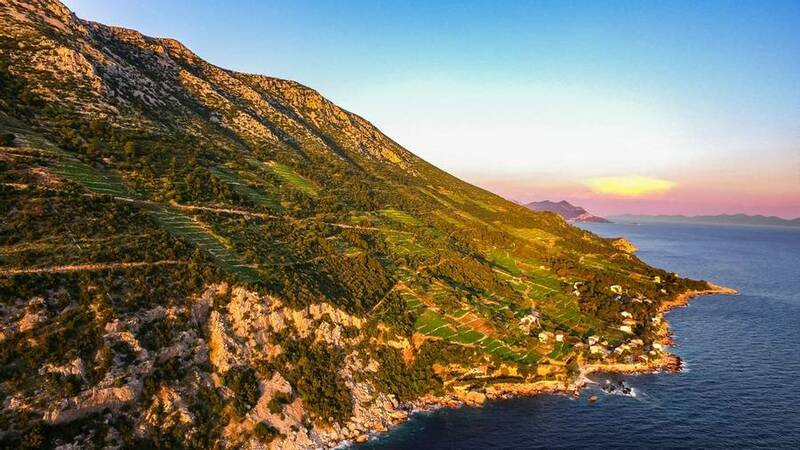 Your final full day on the catamaran explores the winemaking region of the Peljesac Peninsula before heading east to the lovely walled city of Ston. From Ston, it is just a short hop across to your base for the night at Broce. 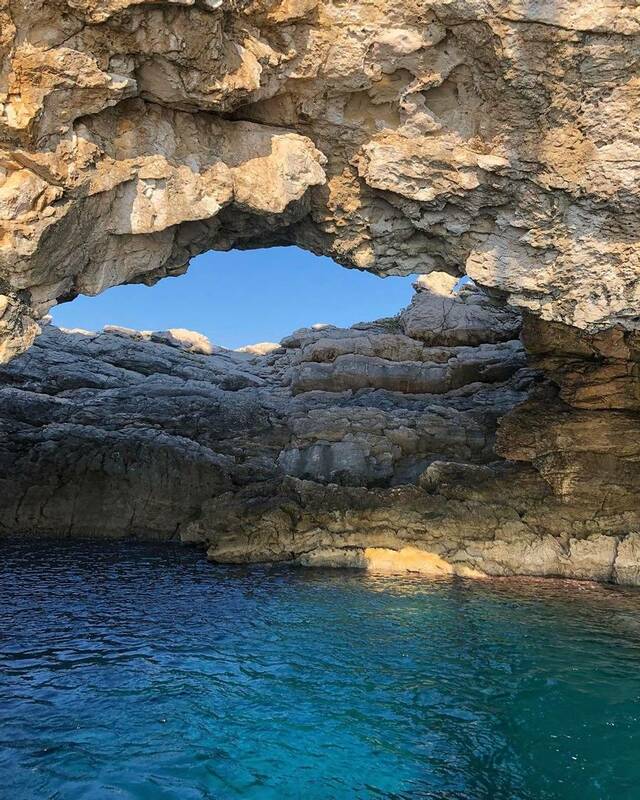 The final day of your sailing weekend sees you back amidst the Elaphiti islands as you work your way back to Komolac where you’ll disembark sometime around midday. 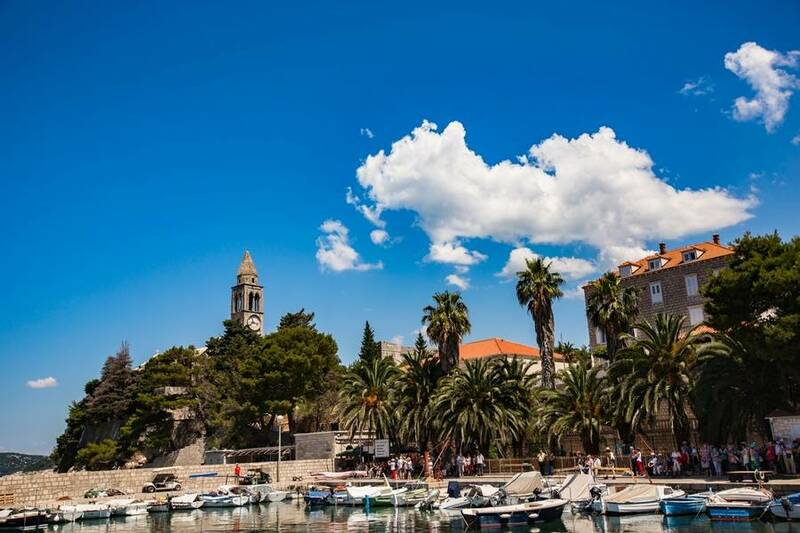 From there, we can arrange transfers to the airport or to Dubrovnik where we can also organise your accommodation should you wish to extend your stay. 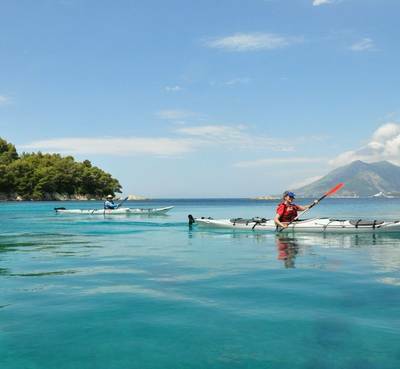 This trip starts at 10 am from Komolac Marina which is a short taxi ride from Dubrovnik. We strongly recommend staying in the city the previous evening and can arrange flights, accommodation and transfers to suit your specific requirements. Please just ask one of our Travel Experts for suggestions. 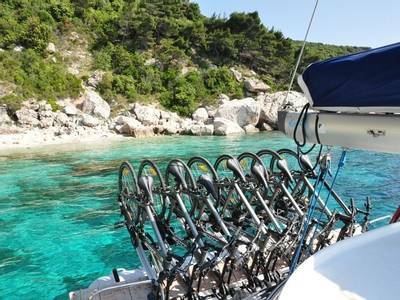 The crew will welcome you on board the catamaran and, after a safety briefing, you’ll take to the high seas. 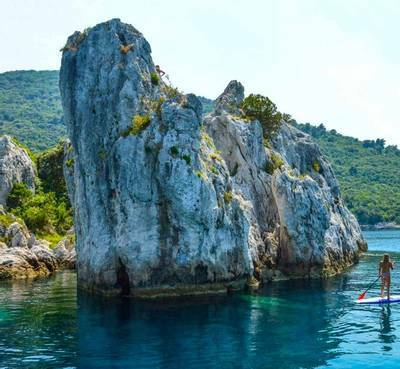 Well, actually, the Adriatic is better described as the serene and calm sea and it’s an absolute joy to watch the seascapes unfold as you cut through the water. 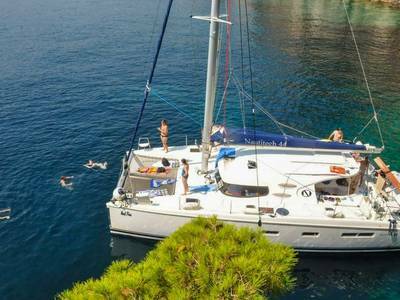 Today’s sailing explores the Elaphiti Archipelago which lies north-west of Dubrovnik. 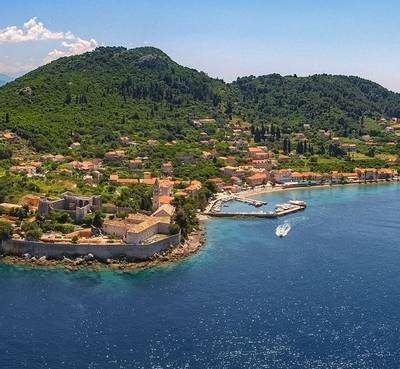 Kolocep, the smallest inhabited Elaphiti Island is your first port of call. There will be time for swimming and paddle boarding. You will then sail towards Lopud and Sipan. Your skipper knows all the quieter spots and will moor in a lovely harbour from where you will make landfall. The crew know all of these islands and villages well and will be delighted to make restaurant recommendations. The important thing, however, is to enjoy the evening views. 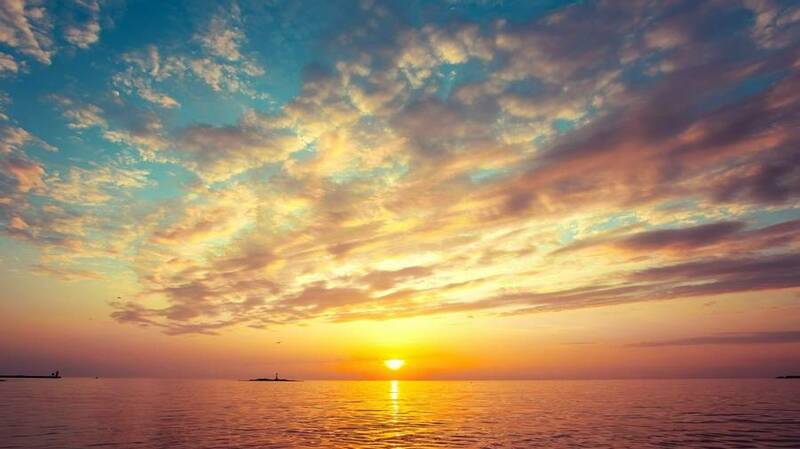 The Dalmatian Coast delivers the most spectacular sunsets with the whole western sky ablaze in pastel shades of yellow and pink. 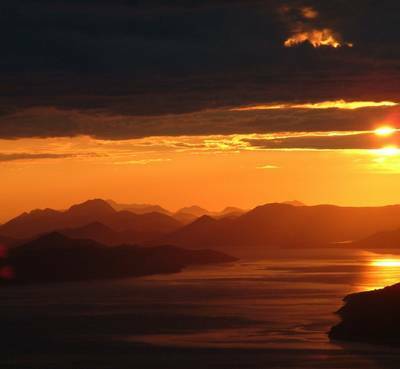 Find a bar, sit facing west, sip your own sundowner, and watch one of Mother Nature’s greatest spectacles as the giant burning orange globe of the sun sinks into the Adriatic. Throughout your sailing adventure, breakfasts will be served for you each morning, but lunches and evening meals are left flexible. Your skipper knows all the best spots locally and so they will ensure that you get the best recommendations for meals and that the group’s preferences are taken into account where possible. 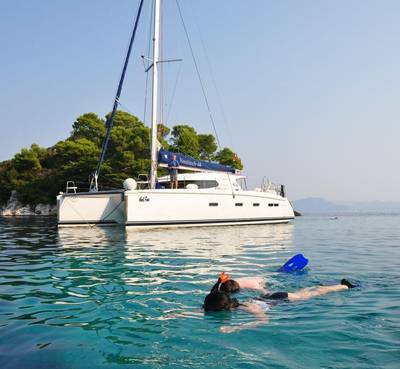 Changes to the itinerary: very occasionally, the itinerary and/or duration of sailing and activities may change according to local conditions, events or guest preferences. Your skipper and his crew will make these decisions based first and foremost on your safety and comfort. On these extremely rare occasions, we reserve the right to alter the itinerary without prior notice. 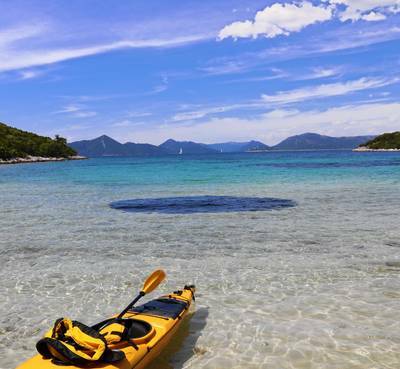 You’ll leave Sipan after breakfast and sail to what is very possibly the most stunning island in an archipelago awash with glorious natural beauty. 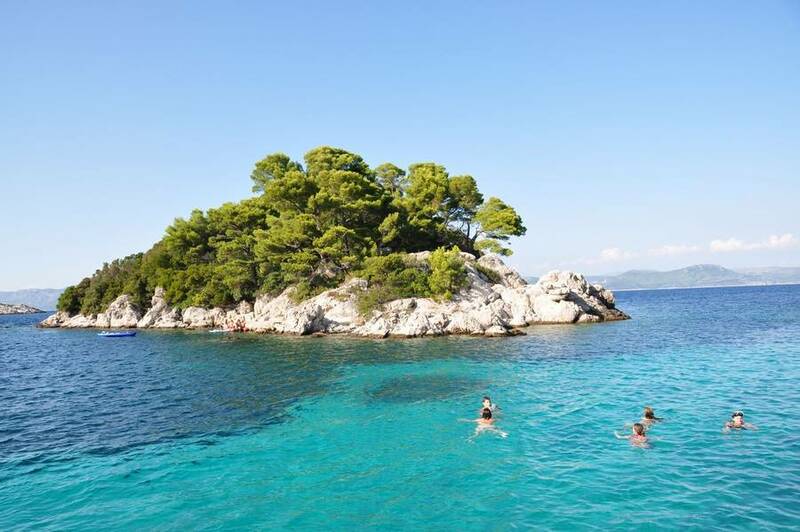 Mljet (pronounced “Mee-yet”) is said to be where Odysseus was shipwrecked and imprisoned by the nymph Calypso. If that is the case, then he couldn’t have picked a better spot for seven years of captivity. 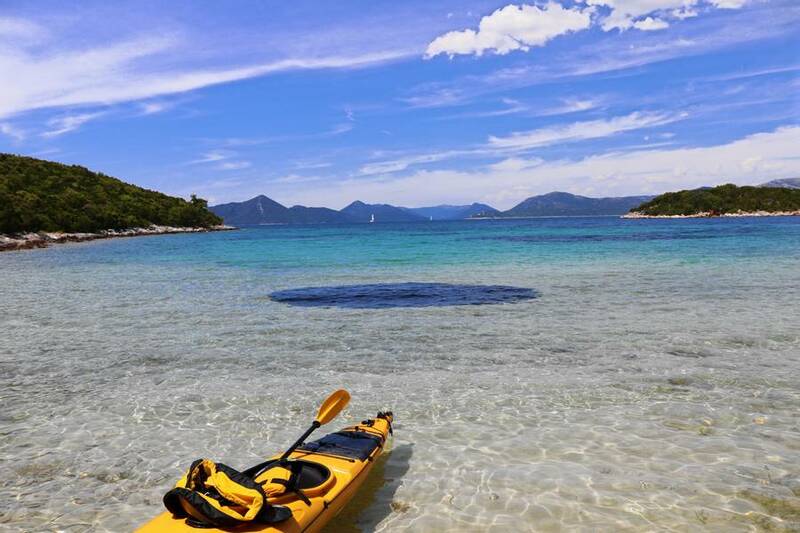 Much of the island is a designated national park and the absolute best of it is found in the north-west where you’ll find two interconnecting inland seawater lakes. They are imaginatively called Veliko (large) and Malo (small) Jezero and are surrounded by verdant greenery and are just the perfect places to swim. The larger lake even has a small island which is home to a 12th Century Benedictine monastery. 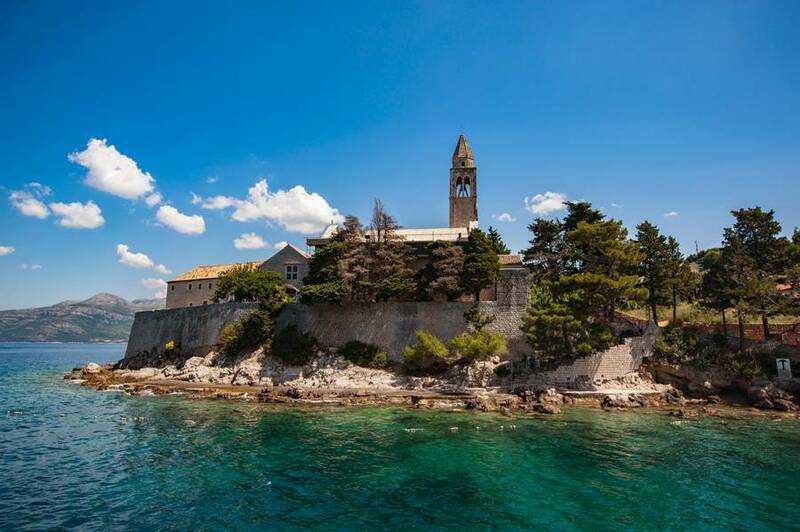 You can take a small boat over to the island and have lunch at the monastery which isn’t something you find yourself doing every day, is it? NB. National Park entry fees are not included but can be paid on arrival (approx. £10 in low season and £15 in high season). 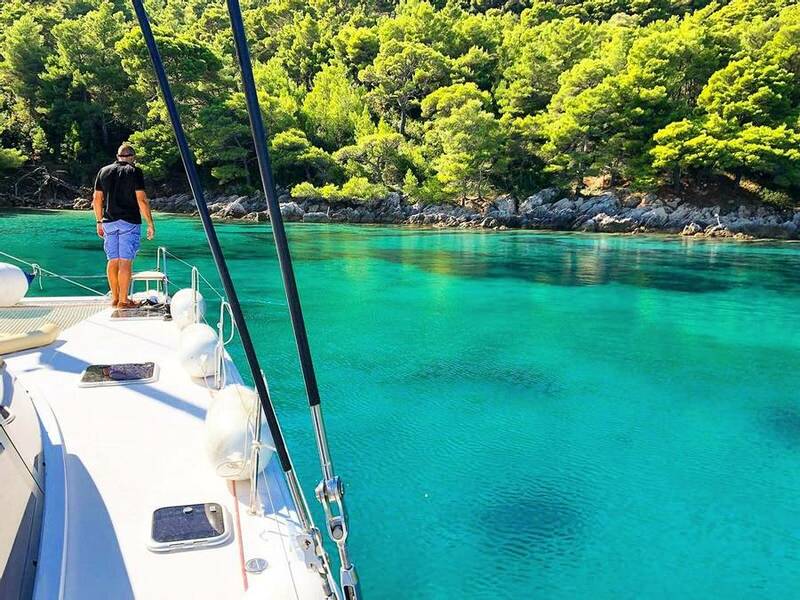 After spending quite a few hours on Mljet you’ll be setting sail towards the mainland and the Peljesac Peninsula. 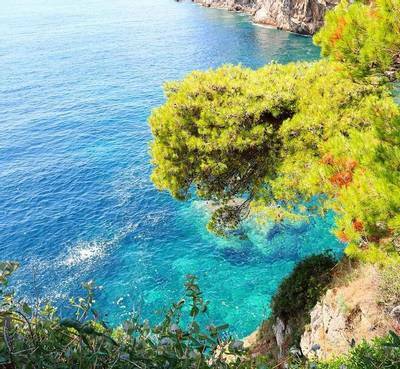 This stretch of coast is dominated by the towering grey walls of the Dinaric Alps which slope steeply downwards into forest greenery and red-roofed towns and villages. The catamaran provides the perfect vantage point as it all comes into greater focus. 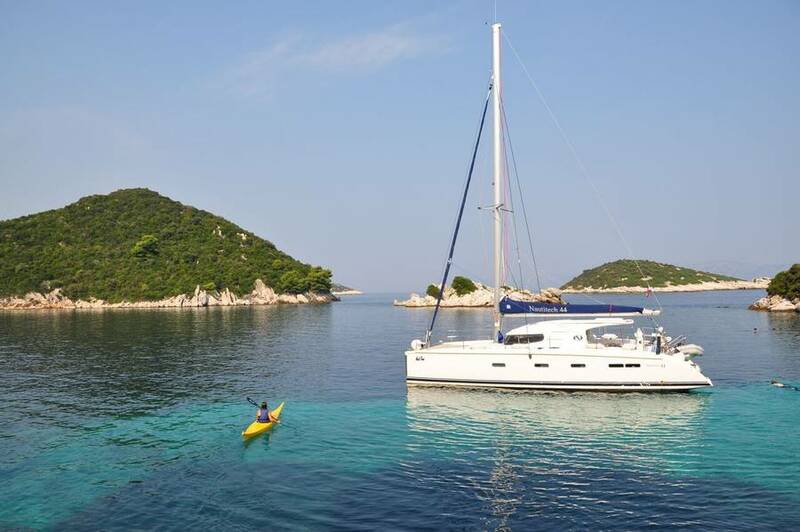 You’ll weigh anchor and spend the night in a bay near the village of Zuljana. 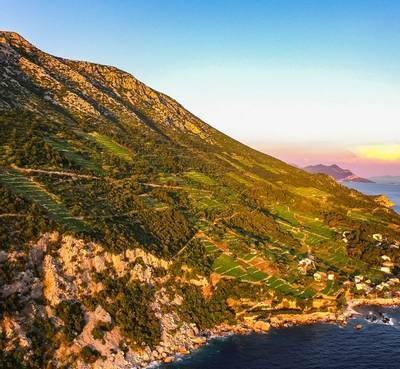 Peljesac is renowned for its small towns and villages, it’s beaches, vineyards, salt farms and oyster beds. It’s a quiet and serene place where agriculture is still more important than tourism. 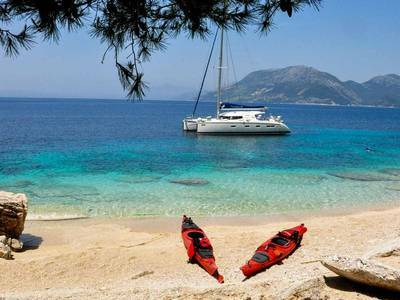 You’ll spend the morning in the Zuljana Bay where the catamaran was moored the night before. 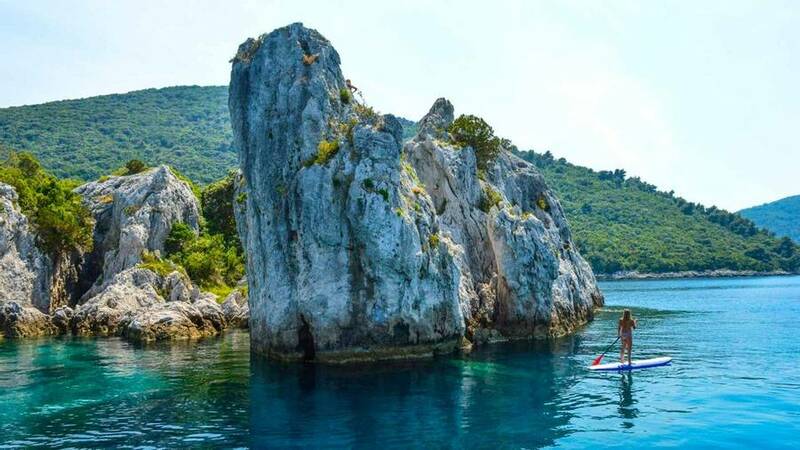 This affords a lovely setting in which to spend the morning paddle boarding, swimming and snorkelling in search of the rich marine life that inhabits the crystal water. You’ll set sail in the afternoon, heading east towards the walled town of Ston. It’s well worth cycling there from the shore in order to walk the fortified walls. This affords you the very best vantage points over the town and the coastline. The old town is a real throwback and pretty much untouched by tourism. It’s a delightful place to stroll or enjoy a drink on a café terrace. Lovers of shellfish will want to try the local oysters (delicious) and mussels (equally delicious). 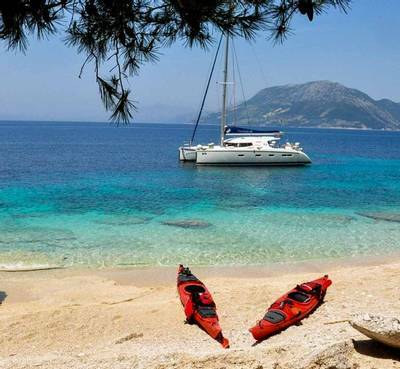 From Ston, it’s only a short sail to your overnight base at Broce. 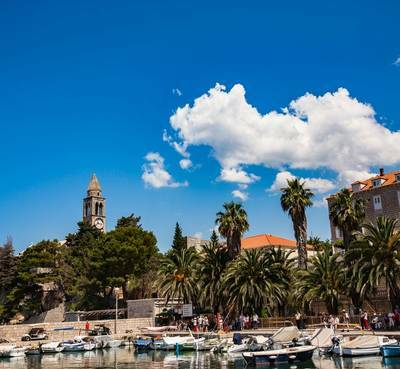 The formula remains the same; evening stroll, sundowner with the sunset, followed by more of Dalmatia’s unpretentious but mouth-watering cuisine. 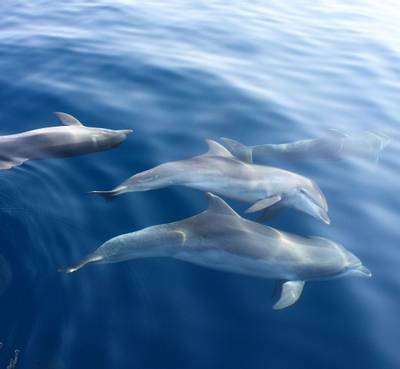 You sail out of Broce this morning and glide past the Elaphiti Islands before arriving back at Komolac Marina around midday. 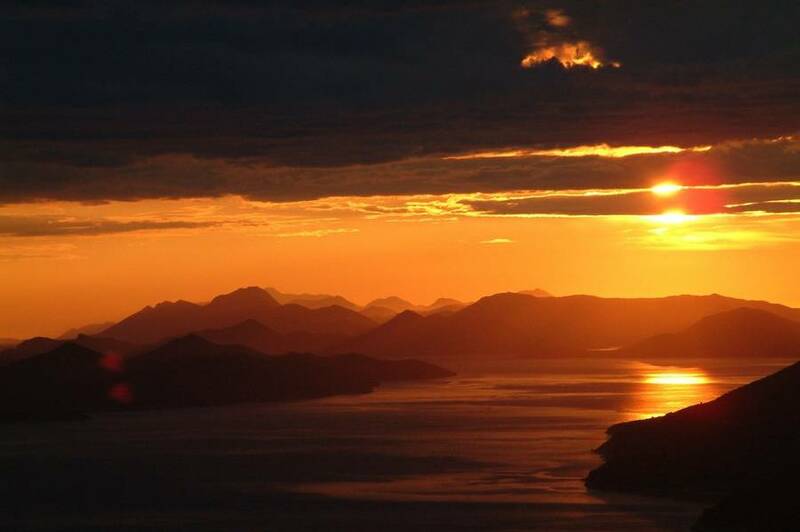 The sight of the islands should evoke great memories of a few short but, hugely rewarding, days. 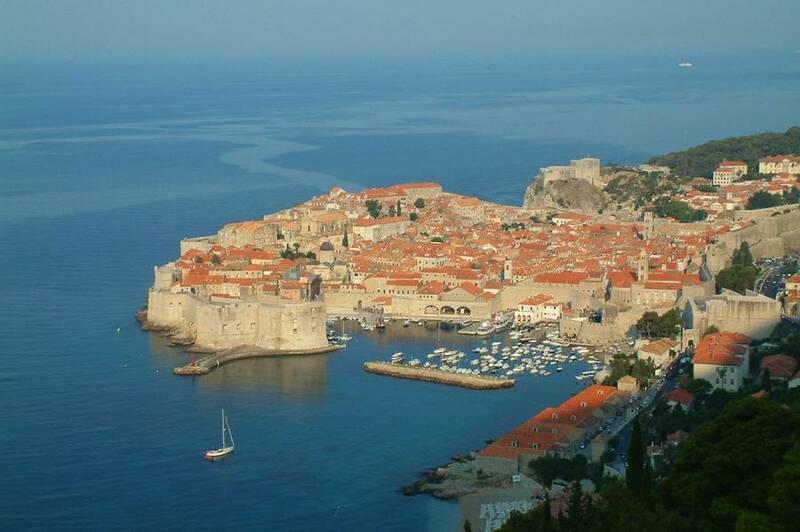 From the marina, we can arrange transfers back to Dubrovnik or to the airport. Please let our Travel Experts know if you would like to extend your stay and they will be very happy to offer advice and build a longer holiday around this sailing weekend. 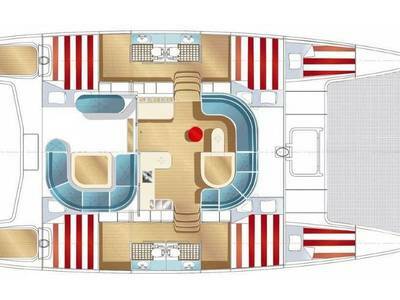 These spacious vessels have four double rooms (can be converted to twins) all of which are en-suite. 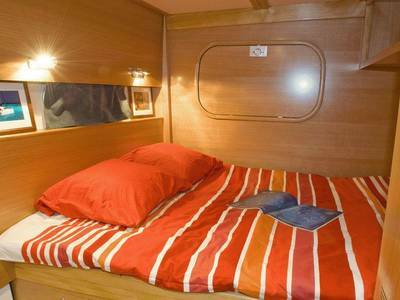 There is an additional single room which is occupied by the skipper and, one of the doubles can become a triple. Hence, the maximum people sleeping on board is ten and it’s most likely that it will be 8 or less passengers plus the skipper. Occasionally, two additional passengers will sail with the boat but stay in guesthouses rather than on board. You will doubtless spend more time on deck than you will below. 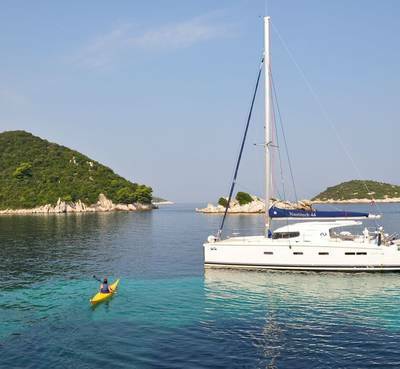 With this in mind, the catamarans are designed with plenty of space for sunbathing as well as a seating area and a kitchen/galley (useful for cold drinkies!). Two sets of steps at the rear of the boat make it nice and easy to climb back on board after a refreshing swim or snorkel. 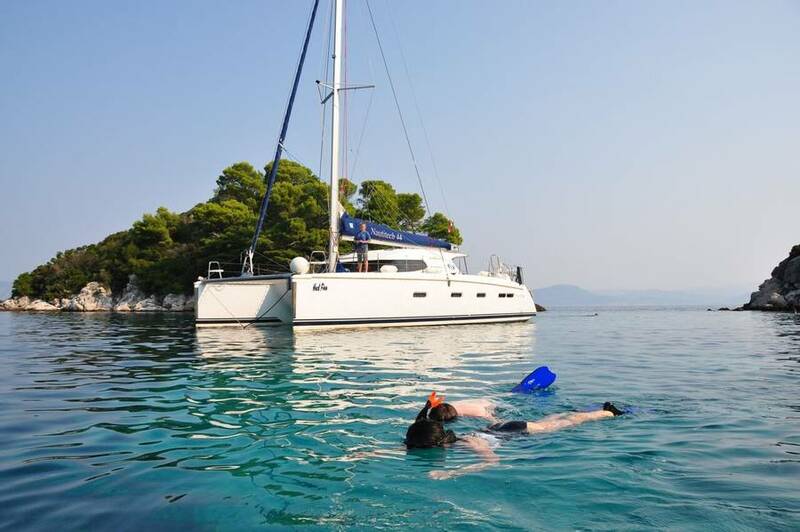 Very occasionally, the itinerary and duration of sailing and activities may change according to local conditions, events or guest preferences. Your skipper and his crew will make these decisions based first and foremost on your safety. In such cases, we reserve the right to alter the itinerary without prior notice. This trip departs on Saturday and Sundays during the date ranges below.